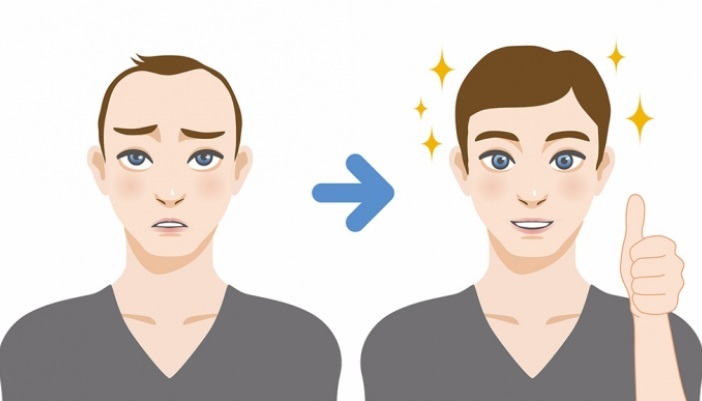 What´s The Difference Between A Hair Treatment, Hair Transplant, And A Scalp Tattoo? Hair loss can affect men and women. There are many hair loss conditions. The hereditary hair loss condition is called androgenic alopecia. Male Pattern Baldness (MPB) in men and Female Pattern Baldness (FPB) in women. This form of hair loss is passed down genetically from family members. There is a predestined potential this gene will be inherited by one or more family members. Treatment is designed to stabilise hair loss. As well as improve the quality of hair. To stimulate the hair follicles to grow stronger, healthier hairs again. With MPB the damage is caused by the DHT effecting the hair follicle. DHT suppressants are taken orally in a tablet. Whilst regrowth stimulants are applied topically in lotion form. Both can be used at home. There are two FDA medically proven hair growth medications available. Minoxidil and Propecia, the latter being a prescriptive product. The Laser Cap is the third FDA approved treatment. That can help to balance the hair growth cycle and stabilise the thinning process. It has been known for over 50 years that genetically strong hair can be moved to a new area of the scalp (recipient area). This hair is around the sides and the back of the scalp and now the body (donor area). When moved it will continue to keep the same genetic properties. The hair transplant is a very safe procedure under local anaesthetic. Not all hair transplant procedures are the same. A hair transplant, when performed to high quality is a technically skilled surgical procedure. That requires medical and artistic skills. Learned over the years to ensure the required care and attention is given to achieving the best result. Today there are two procedures. The Strip Technique (FUT) and FUE. The major difference between Follicular Unit Extraction (FUE) and the Strip Harvesting Technique (FUT) is the method of extracting the follicular units. With FUE, a specialised punch is used to extract the hair from the scalp. The main advantage of this technique is that follicular units are extracted directly from the scalp. Which expels the need for scalpels and stitching. Not everyone is a good hair transplant candidate. Not everyone wants to have a medical procedure. A scalp tattoo is a non-surgical option for hair loss. Scalp Micro Pigmentation also is known as SMP. It´s a sophisticated form of tattooing the skin. To mimic the look of shaved hair mainly. On the right candidate, it can add the look of volume and fullness. On areas of hair loss or thin or diffused hair patterns. Medical grade pigments and micro instruments are used by the SMP technician. To be able to create thousands of tiny points. Even on close inspection can look like shaved hairs. The technical and artistic ability of the technician is paramount to the quality of the result. Being able to read the facial bone structure of an individual. Then design a new hairline that frames the face well. Without being too aggressive or conservative is an art. The skill with scalp micro-pigmentation is sometimes less is more. Blending the pigment with any surrounding hair to create a seamless result. SMP works even when there is no surrounding hair. In cases such as alopecia totalis. A skilled SMP technician can create the look of a feathered nape area that perfectly mimics nature. You may be suitable for one or more of the above hair replacement options. It is important to seek professional advice and start with a personal consultation to assess your current hair loss stage, cause and possible options to tackle your hair loss.